I mean, could these two be any more beautiful?! Elora was in awe of the gingerbread house display. Mariel went to school with my husband back in the day, and is one of the brilliant and creative minds behind Boca By Design. She reached out to me, in need of family portraits for their holiday cards. I am so honored that she thought of me! I adore this family! 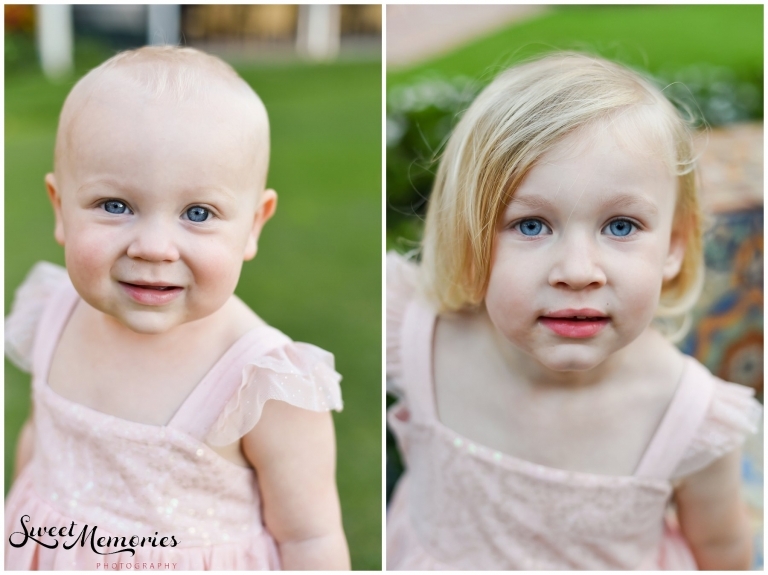 These beautiful, bright blue-eyed little girls are always sweet and full of personality. Mariel and her awesome husband (who is, by far, one of the most talented self-taught chefs I have ever met and had the pleasure of dining with), have become good friends of ours since we moved down here in May. We had so much fun walking through the resort, finding cool spots as backdrops, and letting the two girls run and play. There is nothing I enjoy better than capturing children in their element, doing what they do best! These four are so much fun to be around and we even got to enjoy a small break to taste some frozen hot chocolate from Serendipity! Thank you to the Eldridge family for allowing me to be a part of your fun! Happy Holidays!! !